I am a somewhat new C&C 32 owner (1981)and I will be hauling out for the first time in 2 weeks. Besides spending a lot of time on a new bottom I also would like to do my topsides, deck and non-skid areas. I went to your site and realized that you have several products, some seem to do similiar things. Is there one product that would be best for my entire deck and non-skid or do I need to use 2 products, one for the deck and one for the non-skid? I race the boat mostly and the deck now has a bit of a blackish film on it along with some dings and gelcoat cracks. 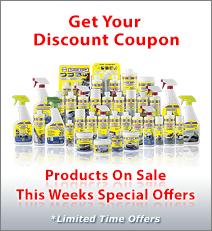 Does your product fill in any of the small cracks and dings? 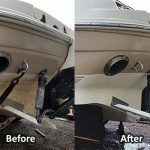 Use Boat Clean Plus and Boat Scrub for cleaning your decks to get them Aurora Clean. There is more and detailed information in other Ask The Skipper posts. 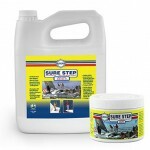 You can use Sure Step on the entire deck surface, smooth as well as non-skid. You will appreciate this when you are racing. Our products do not fill in dings and cracks. For this, you will need a gelcoat repair kit or if you have had a bit of experience, just some color matched gelcoat. You should open up the cracks and sand out the dings. Clean the areas well with acetone. Fill in with the gelcoat (you might need multiple coats to get it filled to the level of the surface), wet sand and compound and then polish. Many serious racers are switching to our VS721 Bottom Coat for their bottoms. 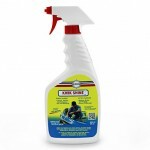 This improves the performance and speed of the boat, expecially in light airs and in addition gives reasonable antifouling protection plus it seals the bottom agains Osmosis blisters. 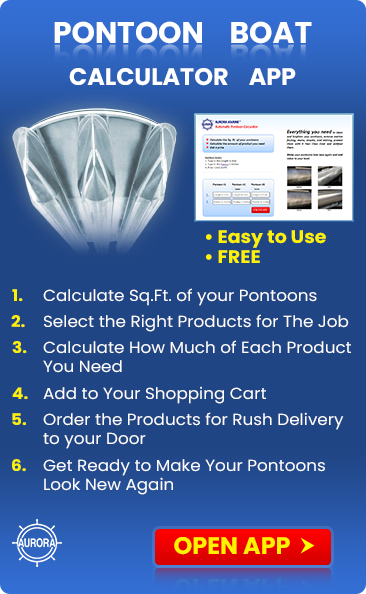 It’s perfectly clear so you can see the bottom of you boat and it’s environment friendly.